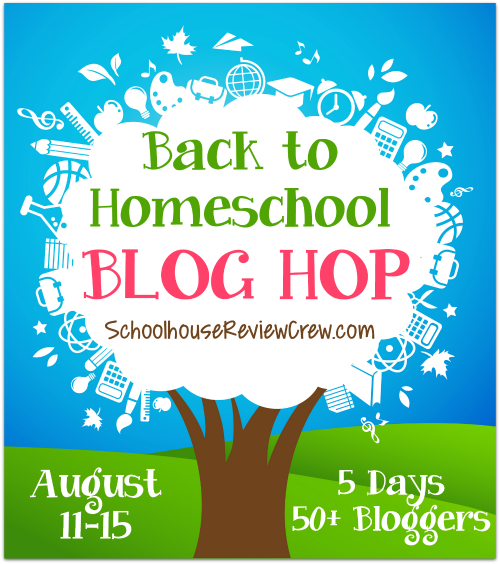 It’s that time of year again — time for our annual 5 Days of Back to Homeschool Blog Hop! 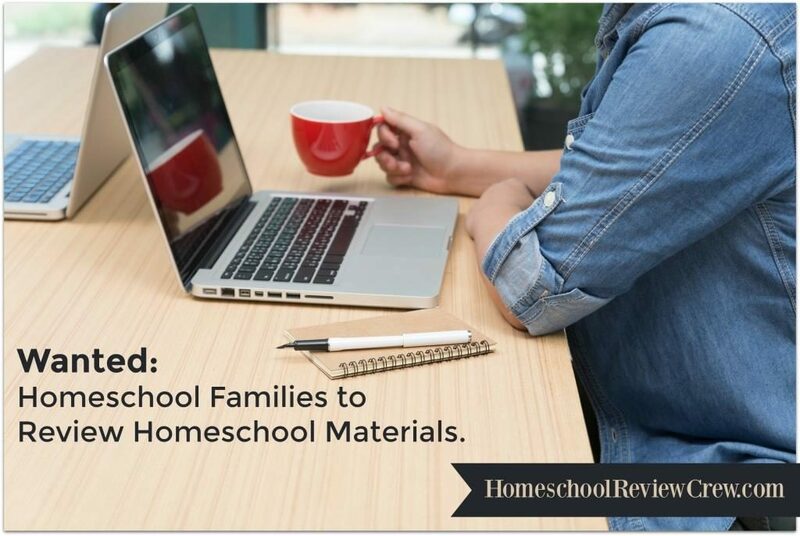 This year, we have more than 50 bloggers joining us in sharing their tips, ideas, and encouragement for the new homeschool year! And for a special treat, we are also bringing you a HUGE giveaway of over $1300 in prizes including $250 Paypal cash to be divided among 2 winners! How exciting is that! So grab a cup of tea and carve out some reading time each day next week, starting on Monday. You’ll want to read what these ladies are writing! This will be our first “official” homeschool year. My main goals are to make sure my son is challenged and increase his endurance. I have homeschooled for 5 years. My goal is to make it more exciting, less stressful, and to not worry about it so much. This is our 8th year homeschooling. My goal is to make it more fun and less stressful. I have been homeschooling for 4 years. My goals this year are to get a good schedule in place now that I am working outside the home. Homeschooling for 10 years. More field trips and hands on. First year homeschooling. This year I hope to make it through the year while continuing to work on my patience. homeschooling for five years, although three was through an online school. My main goal is to actually survive the year with my high schooler. This is our third year homeschooling. Our goals this year are for my kids to really take charge of their learning. I am going to give them more freedom in choosing what they want to study. More student-lead. This is our third year. To make more of a routine and figure out how to balance two students and a toddler! This will be my second year homeschooling but my first year using a curriculum that I purchased. Last year I made up my own and I know that we had fun learning and made tons of progress. This year I will be teaching K5 so I want to make sure all areas of study are covered. We have joined a homeschool group (REACH) and will be involved in fieldtrips and other learning opportunities outside the home. We both are looking forward to the upcoming school year and all of the new and exciting things we will learn. This is our first year homeschooling. Main goal is to figure out a good routine (if that’s possible with a newborn lol) and for my DD to read and my DS to know letters and numbers. This is so exciting. And we cant wait to start homeschooling our son this year. Couple more weeks. This will be our third year homeschooling. My goal is to keep schooling, learning, and my kids as my number one priority during the day. I want to make sure they have my full attention. I have been homeschooling my boys for 4 years (this is our 5th). My main goal this year is to get them enjoying learning again (we are switching curiculums). Home schooling 4 years. Main Goal this year is a love of learning within a more structured school day. We’re entering our 20th year of homeschooling. Goal for this year is to remain excited and dedicated to lifelong learning. This will be the first year; very exciting! We have been homeschooling for about 12 years. This is our 4th year homeschooling. Our main goals are to instill a passion and hunger for the Lord in our family and to help them develop a love of learning. This will be my 12th yr homeschooling if you don’t count pre-K. My aim for this year is to finally relax and help my children rediscover their love of learning. This will be my 7th year homeschooling. I never would’ve thought bringing my kids home would bring me so close to them. It’s a journey that I wouldn’t trade for anything in the world!! We haven’t started homeschooling yet, our oldest is 3. But I want to learn everything I can and (maybe start the learning early!) so that we can success. I’ve just scared that I won’t be able to do it and I don’t want to have to send him to the public system! This will be our fifth year homeschooling our girls. 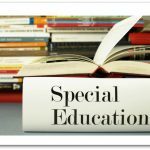 Our goals are for our oldest daughter to continue to become a more independent learner and for our two special needs daughters to continue to work hard at learning how to read. We are starting year 13 of homeschool with a freshman and a senior! My goal this year is to both start and end high school well. My main goal is to be more organized and include vocabulary. This is our 7th year of homeschooling. We’re homeschooling preschool this year. I’d love to instill a love of exploring, creativity and excitement about learning. This will be my 11th year homeschooling. This year we will be focusing on getting ready for college and helping my 12 year old with writing and math. 8 years and surviving high school. Homeschooling for 12 years and my main goal for the year is to stay focused! We’ve been homeschooling for 11 years now. My biggest goal for the year is to get our boys more confident in writing papers. This will be my first year homeschooling. My goals are to create wonderful memories and traditions with my girls, while building a good foundation as well. I’m excited about the year to come and watching them grow from it! This is our second year homeschooling and so far we are loving it!!!! Our goals this year include staying focused, having fun, and learning as much as we can!!!! 6 months as a homeschoolers. My goal is to relax a little, enjoy, and foster eager learners! Hi! this is our first year of homeschooling. Our goals for our 2 boys are first to increase in the knowledge of the Lord and for us as a family to grow closer to God, and second to be academically well prepared hopefully to meet/exceed expectations…no pressure though :)). This my 4th year homeschooling after 3 yrs. of public school. I’m so glad to have this opportunity. My goal for this year is to finish math curriculum on time and to include more fun days. We are entering our 3rd year of homeschooling. I look forward to the time I get to spend learning along side of my children. We are entering our 4th year of homeschooling. I still get very nervous. This is our third year homeschooling. Our goals this year are to teach my youngest to read and for our oldest child to improve her writing skills. This will be our second year homeschooling. We hope to add more unit studies this year and will utilize our local library more. 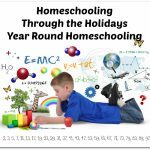 I have home schooled for 10 years and my goal this year is to make home schooling more fun for my kids and to teach them to enjoy learning more. I’m so excited to start homeschooling again in a couple of weeks. We’ve homeschooled for14 yrs and have 8 to go! Hope to bring the family back in close this year! This is our first year of homeschooling. We hope to continue to build our dd’s love and desire to learn. She loves math and science and we hope to make her even more eager to learn as we try to focus on the topics the relate to her interests (animals, astronomy, etc). We are in our third year of homeschooling. Goals for this year include multiplication and division with my oldest and continuing reading progress with my middle. The youngest is right on track and our goal is to keep him that way! I have been homeschooling for 6 years. Our main goal this year? Sadly, it is to survive. We have experienced dramatic life changes and in addition to that are due to have our 6th child. This is our second year homeschooling. Our goal is to ease into schooling 2 kids at home instead of one. This is our second year homeschooling. We are expecting a new baby, and my biggest goal at the moment is to get back on track with school as soon as possible after he gets here! This is our first “official” year of homeschooling, but we’ve been learning at home for the past 3 years. My main goal this year is to get my daughter to a point where she is reading fluently at a first grade level or above. We’re starting year #4 of homeschooling. Hoping to keep the excitement of learning alive! I’m tired. Lol. Thanks for the reads. I need help finding curriculum that is complete but not as boxed in as A beka. This is our third year. This year I would like to be more brave and break away from school at home approach. My daughter enjoys unit studies. I have home schools for 6 years. Have not the last 3 years but am return to it this year. My middle child is entering 6th grade and I’m so eager to set a new course and path for his education. This will be our 6th year and the first year with 4 official students plus a pre-schooler and a new baby. The goals vary – depending on the student, from becoming more independent, to master addition and reading, to learning to read. This is my second year. I want my boys to learn discipline, better listening and how to read. Have been homeschooling for 8 years now through a cyber charter school. Possibly looking to become more independent and flexible. I’ve been homeschooling for 16 yr. I have at least 13 more to go. My goal this year, as always, is to enjoy learning with my children. And this year to come along side my 13 yr old & help him find his nitch, so I know better how to direct his HS years. We do a homeschool/public school combination. I did this with my daughter who just graduated and am also doing it with my son who is entering fourth grade. This works well as I am able to personalize their lessons but they get peer interaction and subjects I dont know (especially music) at the school. I homeschooled my oldest (now 16) until he was in third grade and BEGGED me to let him go to “real” school. Now I have a little guy entering kindergarten this year. We’ve lived an unschooling life with the kids from day 1, but I’m throwing in some actual lessons this year. My main goal with him this year is to learn how he learns best. I’m planning on trying a wide variety of teaching techniques to gauge what works best for him. Always homeschooled and have 8 children, ages 13 on down. We have been homeschooling for 5 years. This year we need to focus on character. My main goal for this year is to establish curriculum for my two children that will help me teach them all they need to know and spending quality time together while we all learn something from this homeschool journey we are on. We are entering our 7th year of homeschooling. We will have four kids “officially” homeschooling. Our older two will be focusing a lot more this year on writing and computer skills. We are homeschooling for our second year, although, our kids are not officially of school age. You can call it preschool homeschool. I look forward to having my kids continue to grow bilingually. I hope to help them see how being bilingual is a wonderful gift. This will be our 6th year homeschooling. The main goal is to be more organized and structured. I’ve been homeschooling for 15 years, and my main goal for this year is to finish strong with my 3rd one to graduate and to focus on our writing skills. This will be my 7th year homeschooling and my biggest goal this year is to be more organized and have a better planned out schedule. This will be my 2nd with my daughter and first with my boys! We’ve been homeschooling for about 13 years. My main goal for this year is to enjoy learning and making happy memories with my 5 children! Oh, my goodness! 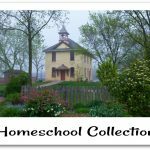 I had not thought about how long we’ve been homeschooling. It has been 20 years! My goal this year is to make learning so much fun and so joyful my student won’t resist. He claims he doesn’t like fun, but my enthusiasm is penetrating that shell. I’m very excited about this year and trying new curriculum. Learning (homeschooling) is our lifestyle. 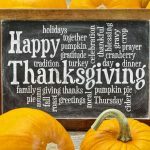 Each family member shares what he/she has learned throughout the day with the rest of us. It’s wonderful learning something new everyday! My biggest goal and challenge will be adding my K4 daughter into the mix without adding hours to our day, lol! This will be our 7th year of homeschooling ….wow! 🙂 My main goal this year is to improve attitudes and to learn how to handle my son’s nonverbal learning disability.